Made from 6061-T6 Aluminum and 4041 steel, it is the anticipated retractable stock made to elevate 5.56 carbines, making them compact, measuring 3″ shorter than traditional carbine stocks. 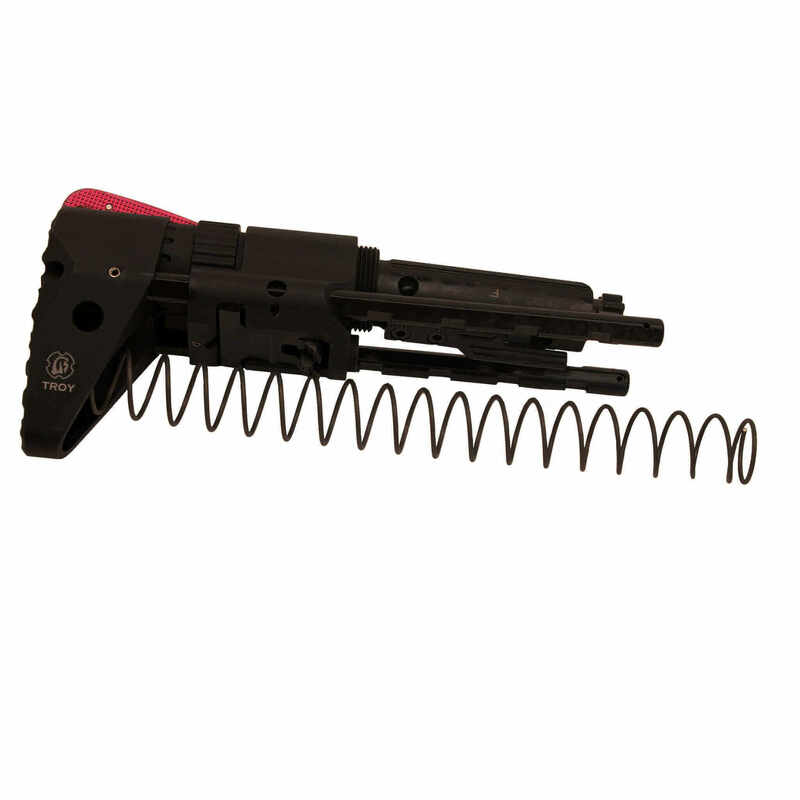 It utilizes a proprietary, patent pending spring, bolt carrier system and heavy duty latch assembly, the refined design makes the M7A1 PDW Stock Kit rugged, reliable and sturdy. The rods allows full access to operating features, even with a gloved hand, and even when the stock is completely retracted. Dubbed as “The Total Package”, TROY’s stock has 6 positions of adjustment and built-in sling mounts. After depressing a lever on the underside of the stock with their thumb, operators can extend the stock in one fluid motion. Note: For direct impingement weapons only (non-piston operated weapons).